Venerable Sunday talker “Face the Nation” saw a minor set update on Sunday, with a new background added behind the guests on set. The graphic changes the repeating pattern of the “Face the Nation” logo, with less repetition and new horizontal bars added to separate the space. 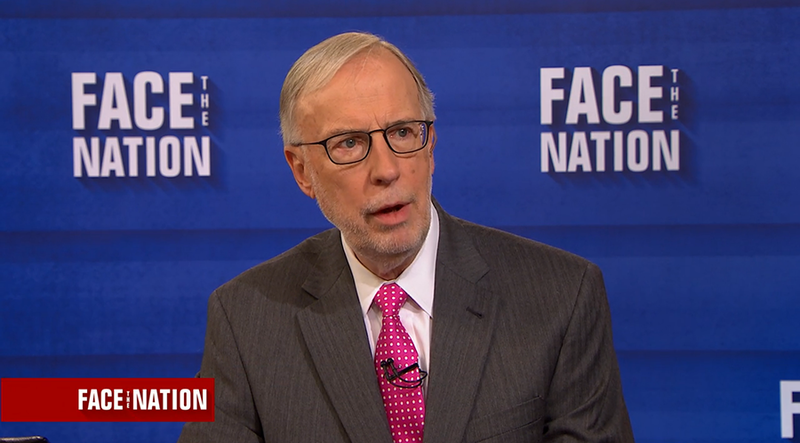 “Face the Nation” has seen a few small tweaks this year, including new in-show graphics. Face the Nation, john dickerson, washington, washington d.c.